Santa Elena is the center of Monteverde area, the last bus stop, shopping, ATM and banks, supermarkets and different stores, cheap restaurants and bar is here. Sleepers is located only 100 meters from the bus stop. 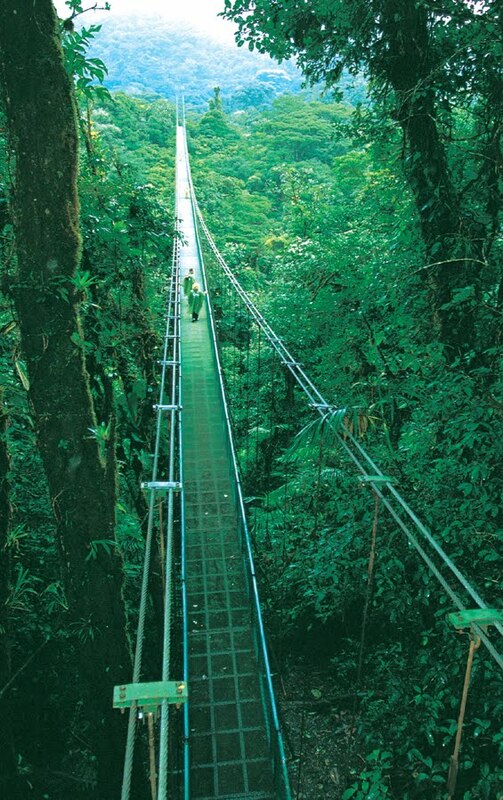 How to get to Santa Elena-Monteverde? FROM SAN JOSE: public bus leave everyday from San José at 6:30 a.m. and 2:30 p.m. Trip takes 4 hours and cost is ¢3.000 ($6) per person. How to get at Sleepers? 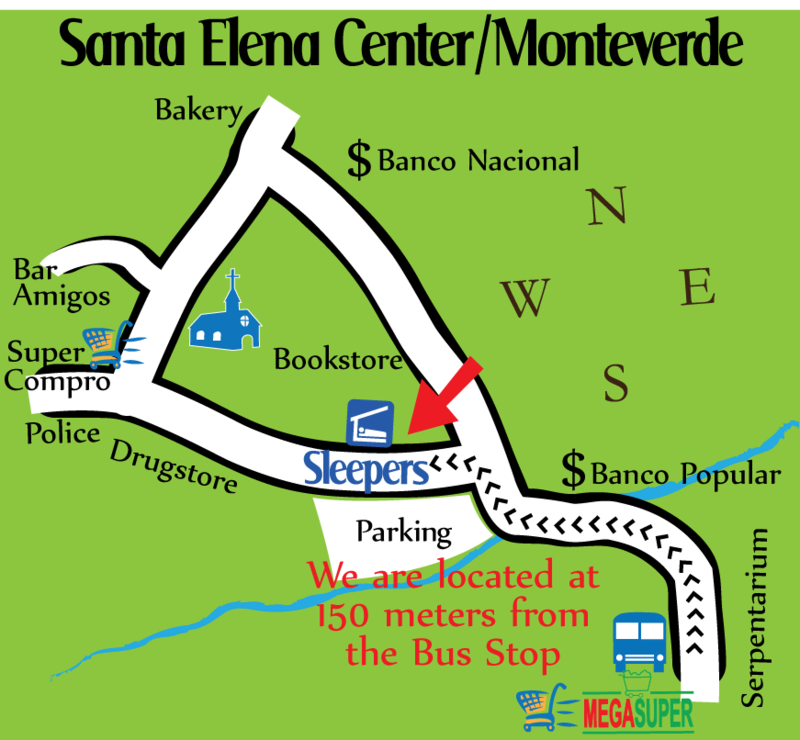 We are located just at 200 meters from the bus stop in Santa Elena, near to Supermarket, Bar, Drugstore, shopping.